Can Can reflects the stylistic flair of designer Marcel Wanders. 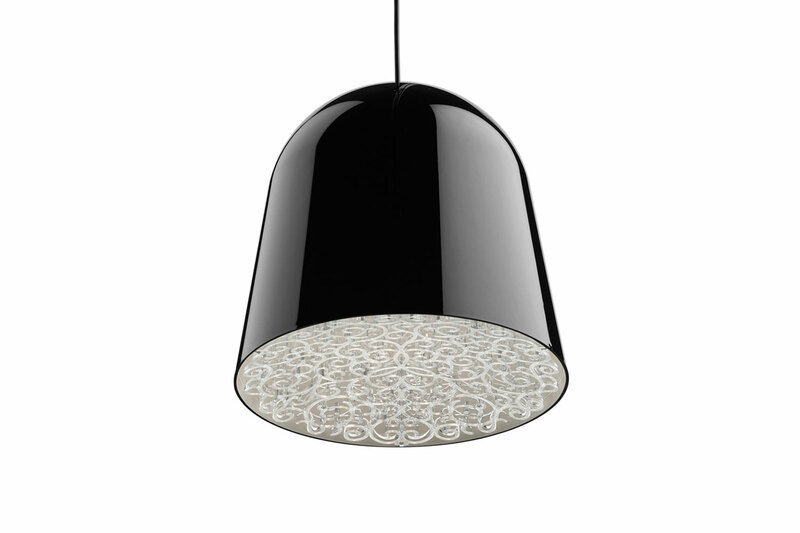 This pendant lighting features a damask-like diffuser in transparent, amber or violet to complement its body in black or white finishes. Body and diffuser are made with injection-moulded PMMA.